The location is good... Near metro... And the room has good looking. The room was comfortable. It has everything for food preparing. 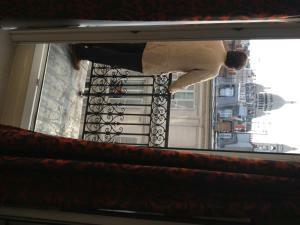 Location is really near to Montmartre (5min. walking) and 10 minutes walking to Gard Du Nord train station. Every day clean room with new towels. Hotel is located in 18th arron. A multicultural neighborhood. Nearby cafes. Busy area but by 11 pm all was very quiet. There is a sewage smell sometimes in the room but the smell is also in some businesses and things around the area. Sacre Coeur was very close and we found a nice restaraunt a block up the hill. Great boulangerie almost across the street and Carefour just down the block. Takeaway pizza very close and it was excellent! Metro was very close and easy to use. Connection stations nearby too. Bed is comfy but lights are dim. The room itself was pretty nice. Tiny shower, but that’s Paris. 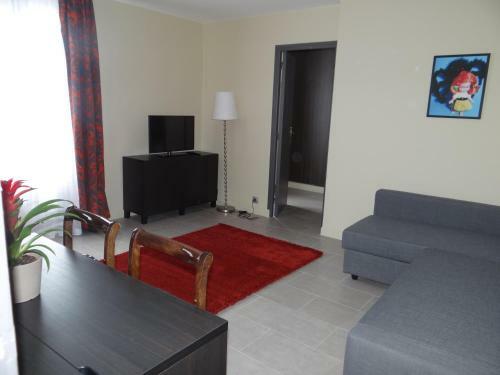 It’s a good location, near the metro and quick walk to Sacre Coeur. 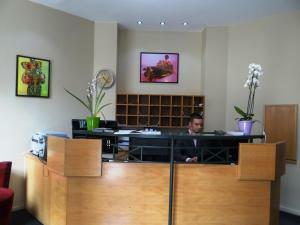 The staff was very helpful and accommodating when we realized we were going to arrive later than their desk was open. Free, very good coffee in the morning. Location was very good,close to alot of good restaurants, hip area more for the younger crowd. overall very good. They need to clean the room floors a little better, otherwise not bad for the money. Room set up was nice with kitchen bedroom and sitting room. The bed was comfortable. The kitchenette was convenient. The windows were soundproof. The shower was nice. One of our best sellers in Paris! 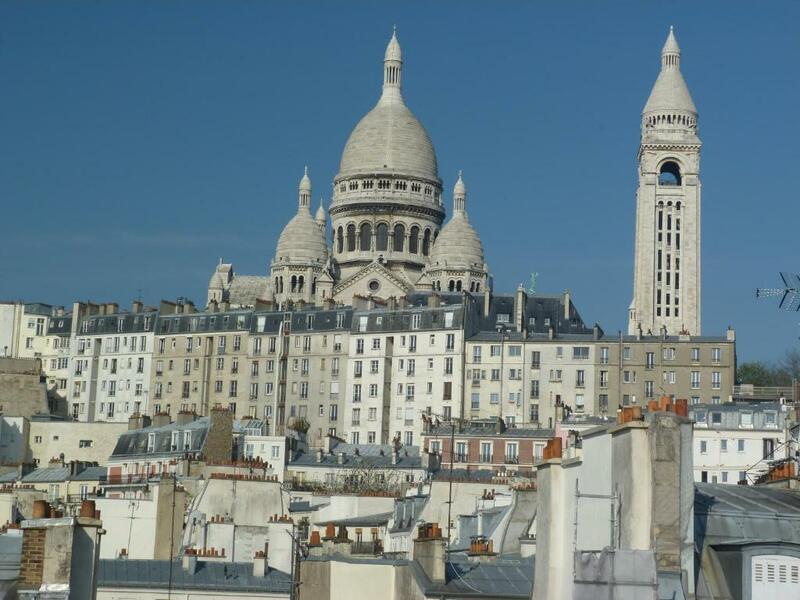 Located in Paris, Villa Montmartre is just over a quarter mile from the Sacré Coeur Basilica and a 20-minute walk from the Moulin Rouge. The property has studios serviced by an elevator and free Wi-Fi access in public areas. 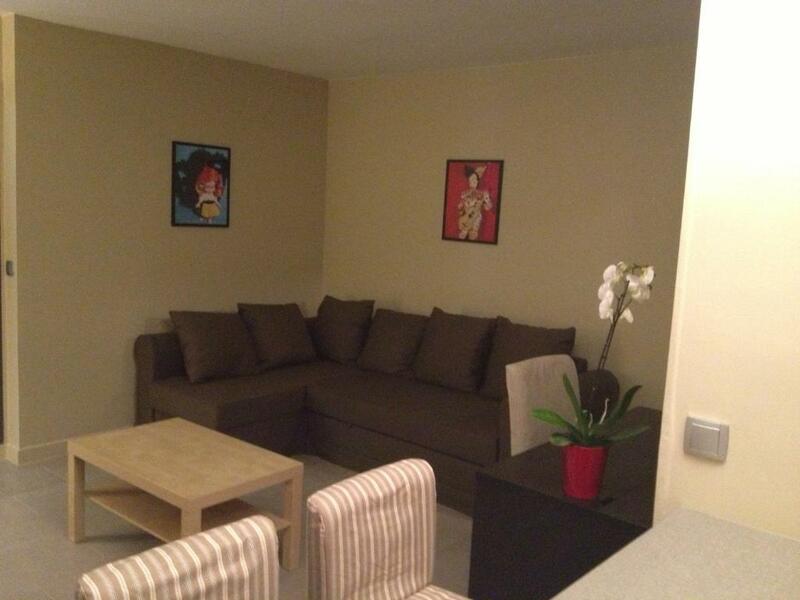 Each studio features a flat-screen TV, a sitting area and a private bathroom with a shower. 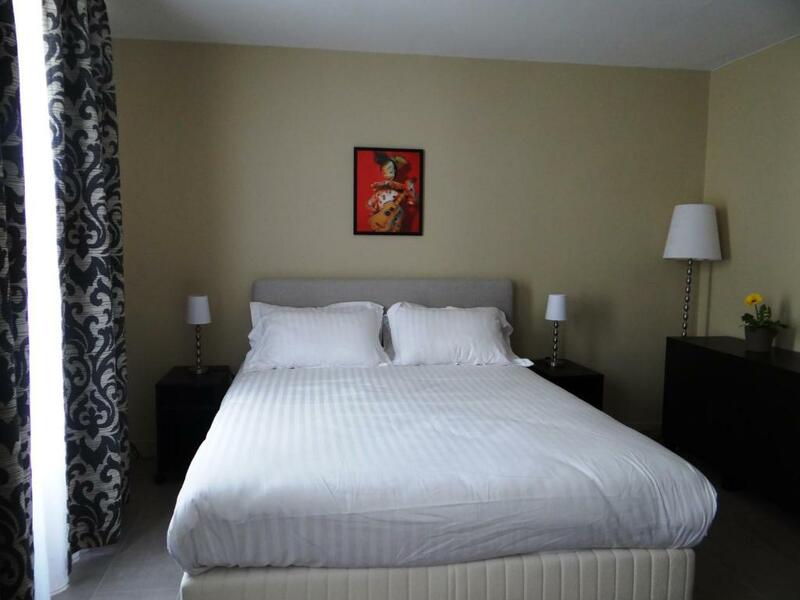 This property is 800 feet from Château Rouge Metro Station, which leads directly to Notre-Dame Cathedral. Gare du Nord Train Station is a 15-minute walk away. 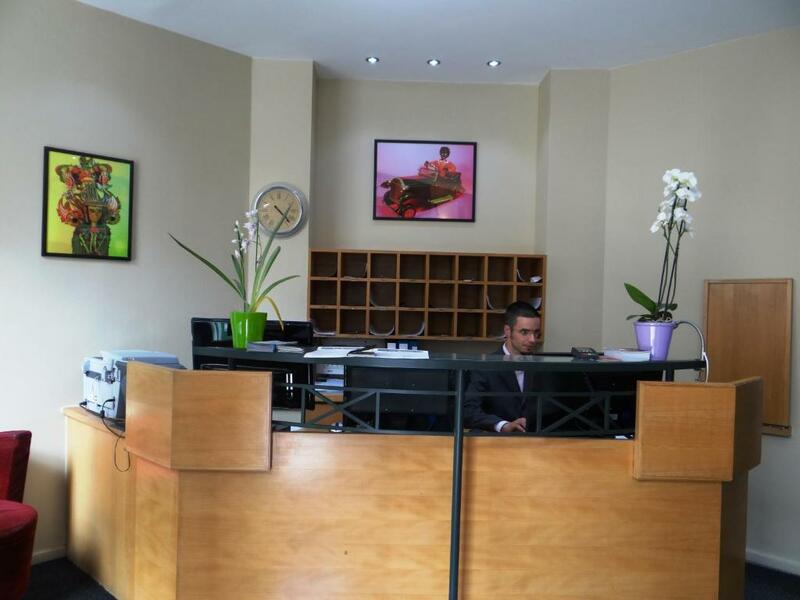 뀐 Located in the top-rated area in Paris, this property has an excellent location score of 8.2! 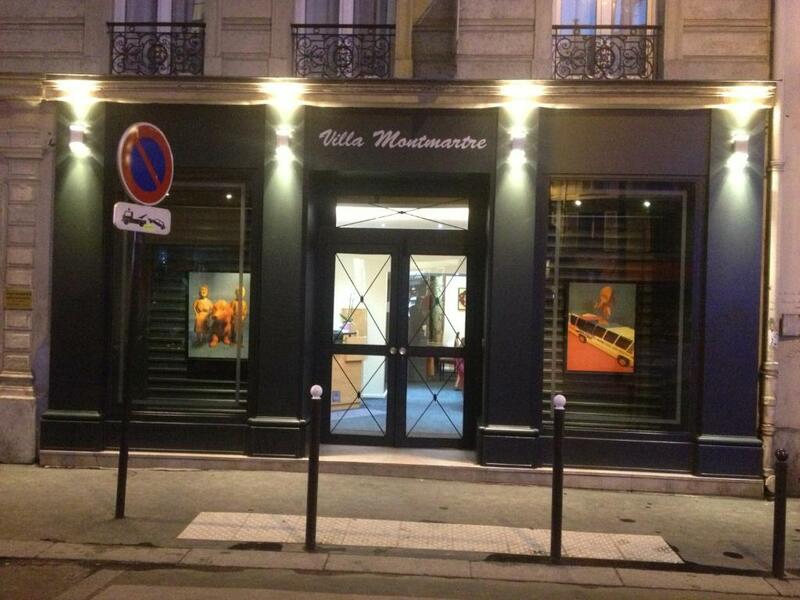 When would you like to stay at Villa Montmartre? This self-catering studio features a sitting area, a flat-screen TV and a private bathroom with a shower. This studio includes a private kitchenette, living area, private bathroom with shower, closet and a separate bedroom. This bedroom includes a kitchenette, living area, private bathroom with shower, and a separate bedroom. House Rules Villa Montmartre takes special requests – add in the next step! A EUR75 damage deposit is required on arrival (around USD84.41). This deposit will be fully refunded at check-out, as long as there isn't any damage to the property. Villa Montmartre accepts these cards and reserves the right to temporarily hold an amount prior to arrival. Please note that a EUR 75 damages deposit will be requested upon arrival. This may be used to charge for any damages incurred to the accommodations during your stay. A damage deposit of EUR 75 is required on arrival. That's about 84.41USD. This will be collected as a cash payment. You should be reimbursed on check-out. Your deposit will be refunded in full, in cash, subject to an inspection of the property. The room was pretty run down with bits broken. The shower was a step up and into and for this curvy girl the gap was quite tight. The bed was super comfy but could have done with an extra pillow. Location is perfect - charming, lively, yet not loud neighborhood. Accommodation is great value for money - nothing luxurious, but you have everything you need, it is comfortable and very clean. Discrete yet friendly staff. The bathroom did smell a little of the drains . We had an apartment so didn't have breakfast provided by the hotel. The room provided enough facilities for our needs.The location was good for cafe's, the supermarket, accessing the metro and sites of interest .Where we were situated in the hotel was quiet. It was good to be able to open the windows. 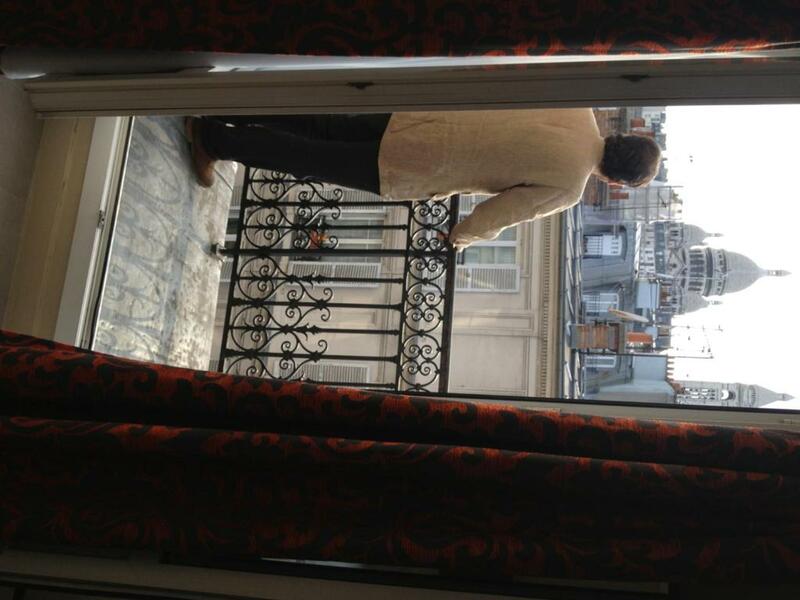 If we were to Paris again we would use the hotel. We like to have a bathtub, but not. We didn't eat breakfirst. There is drink service near front , you can use it anytime.Room is wide and have kitchen and refrigerator. Location is very good for sightseeing. The only drawbacks are reception is only open until 8pm and the lift is tiny (max 3 people). 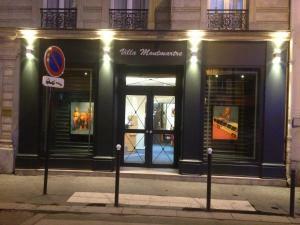 Good value for money, great location in montmartre. Lots of cafes/shops in the area and close to the metro. Room was a good size and clean. On the way to the hotel we met some unruly characters but they just mind their own business. Please be wary of your surroundings as there are pick pockets around. It is very near the metro. The room is equipped with kitchenette, so it's very convenient to prepare own meal. There are Carrefour and grocery shops nearby. Suffered appalling rudeness to the point of a stand up row with one of the reception staff. (other, dark-haired one was very helpful, in fairness). Property was not clean - plastic bottle under bed, various marks indicating it hadn't been fully cleaned before our arrival, wiring was positively unsafe with everything plugged into precarious extension cables, no overhead lights so had to rely on inadequate wall lights, shower did not work until 3rd day of a 3-night stay, and then only after I had insisted despite the extremely aggressive and literally 'take it or go somewhere else' (YES!) response of the fair haired receptionist. Toilet door only shut with a big effort and the frame had been crudely chiselled out to accommodate a very badly fitted door handle. Lift was dodgy. No fire evacuation procedure, or fire exits. 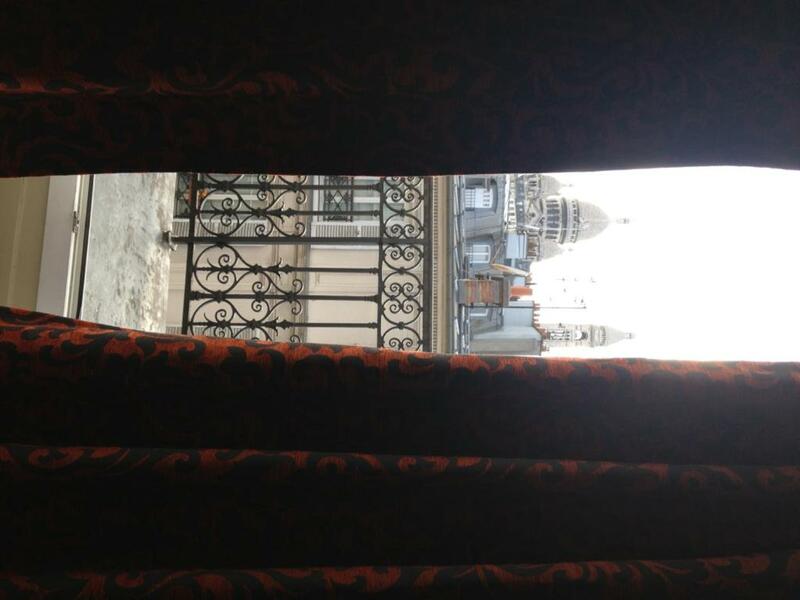 NO view of Sacre Coeur, despite this being advertised as a feature. Could have been lovely with just a bit more effort but as it was, 'fur coat and no knickers'. Reasonable if limited facilities. Clean linen. Good location and clean hotel. These was an Awful smell of mold. Hotel is around 10 minutes walk from Gare De Nore railway station or 2 minutes from a connecting tube if you prefer not to walk. 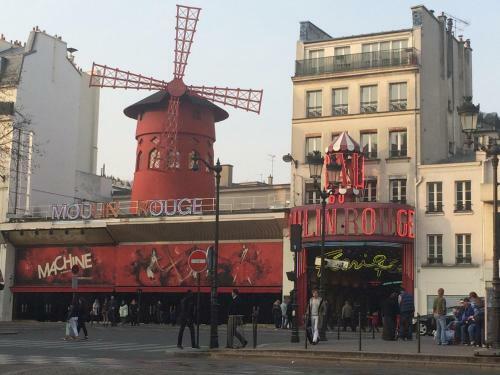 The location is a busy/ popular location with a good choice of bars and eateries and within easy reach of all transport links and maybe 20/30 minutes walk to Notre Dame with its 'restaurant village' and lively atmosphere so you won't go hungry or thirsty! The hotel has 6 floors with approx 4 apartments on each (ours was a studio style) and are accessible by stairs or a lift. we found the room to be comfortable and of an ok size, all expected facilities eg hob, microwave, fridge, dining table and chairs etc and 2 of everything to eat, drink and stir with! To sum up, our 2 night stay was trouble free with good communication from the friendly helpful reception staff, the 3 step access code in place is a reassuring security feature, good value for money and pleasant stay, would return and have no hesitation in recommending. Nb. We tried Eurostar from St Panchras which worked really well. Was generally in need of a little TLC and/or redecoration, especially in the bathroom and kitchen. Location was a little further from Gare de Nord than I would have liked, immediate neighbourhood was a little sketchy in places. 2nd Bed was in a separate room, all the basic requirements were there. Good communication for gaining access to the building prior to arrival.